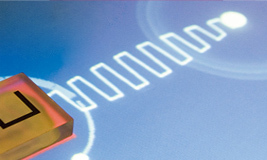 Both hardware and software are flexible and can be customized according to your project. Our team of researchers, technicians and programmers is happy to help you with your custom project, integrating and adapting the Reactable Experience to your design and musical requirements. 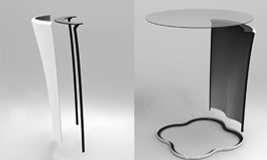 The table structure - material, colour and design - can be personalized to meet your design guidelines. The Reactable Experience can be easily customized with specific sounds and settings. Different compositional scenes can be predefined, which can be easily switched. Our professional musicians are ready to create sound that suits your particular scenario. Your logos can be placed on the table structure, as background picture on the multi-touch surface or on top of the tangible objects. Your corporate tune can also be added to the sound files in order to be played on the Reactable. To offer new experiences, custom applications can be implemented based on your ideas. This transforms the exhibition into something new without having to change the hardware.